Thank you for visiting Smith Security Safes. My goal is to provide you a security solution for storing your most valued property. 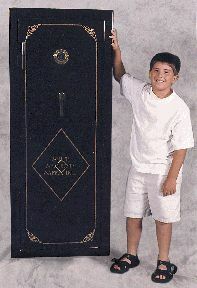 I have been manufacturing gun safes since 1982. My daughter was born and I realized that I needed a safe place to store my weapons so I created my first safe. You always see stories on the news of terrible accidents where a four year old shot his sister playing with his parent’s gun because it was just sitting in the drawer by the parent’s bed. When my wife was a child, she was showing her friend her father’s 38 special and it went off inside the home, almost hitting her friend. Additional, criminals are very keen on stealing weapons because they have high resale value and because felons cannot pass the background check to buy weapons new. It is critical that weapons be stored in a secure location locked up so neither children nor criminals cannot get their hands on them. 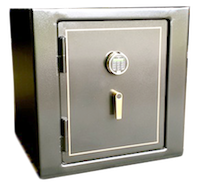 Since building my first safe, I have built thousands of safes and helped many happy customers with the storage of their valuables. I have improved upon this initial design over the years, and I am confident that my safes will provide you more security than our competitors. Whether you have guns, knives, precious metals, cash, old family photos / videos, important documents, hard drives, etc, our safes provide a sanctuary for your most valued property. I have taken many measures to make my safes extremely fire resistant. 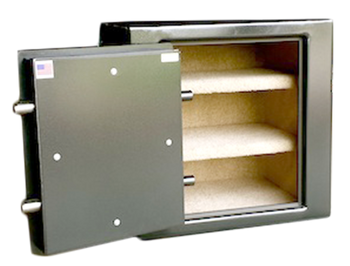 Many of my customers who purchased safes from me have had their valuables survive a fire because they were stored in the safe. These items would be gone forever had they not been stored in a safe. I even have additional options that provide even more protection from fires. My safes are water tight and will protect your valuables from flood waters as well. Burglars hate my safes because I have come up with many innovations that prevent even the savviest of criminals from breaking into my safes. Every year I invent a new option that enhances the security of my safes. I have options that completely lock down the safe if someone should try to cut into it with a cutting wheel or torch. 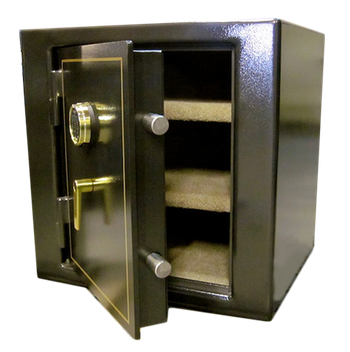 Custom safes are something we welcome. Sometimes people have an awkward spot that a standard rectangular safe will not fit in and I can get the dimensions from you and make a safe to fit to your needs. I already have many different sizes to choose from, but if you require something non-standard then please give me a call and we can discuss how we can best suit your needs. 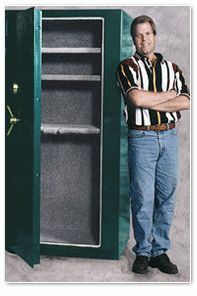 I can provide you anything from a light unpainted safe that is basically just a metal shell with a lock to a double door, heavy duty safe painted with beautiful high gloss paint and equipped with a fully carpeted interior where you can safely store hundreds of guns. I can customize in ways you may not have even thought of so please give me a call and I would love to discuss how I can help. Check out our frequently asked questions that will also provide more information. I offer delivery and installation to the entire continental USA. I have a well-trained delivery professional who can get these safes into the home location without damaging your home. These safes can be very heavy and awkward so this option gives you peace of mind. I look forward to hearing from you and discussing how I can help you meet your security needs. Please give me a call to discuss all of the options available to provide you the exact level of security for which you require.